Book Adventures: (YA) Snow Whyte & the Queen of Mayhem by Melissa Lemon, Blog Tour, Recipe, & Giveaway! 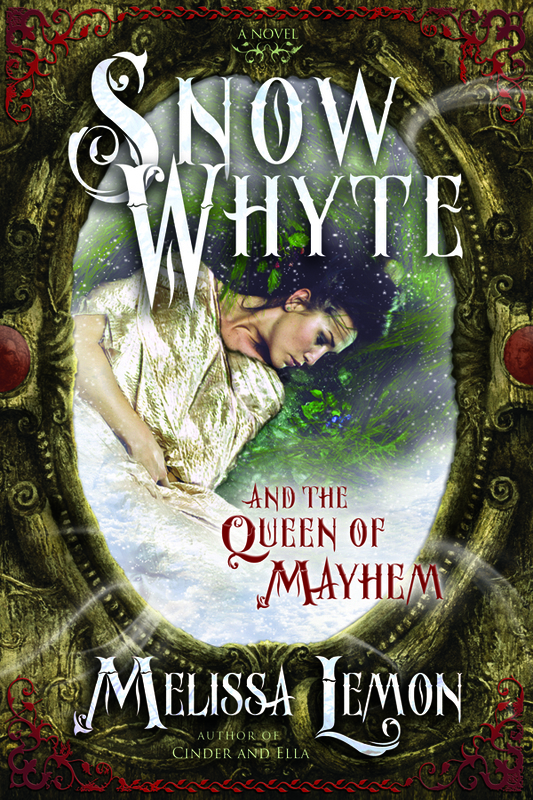 (YA) Snow Whyte & the Queen of Mayhem by Melissa Lemon, Blog Tour, Recipe, & Giveaway! For participating blogs, click the banner above. Today's post is part of the blog tour for YA fantasy author Melissa Lemon's new book Snow Whyte and the Queen of Mayhem which will be published December 11, 2012 through Cedar Fort's Sweetwater imprint. Melissa's previous fairytale inspired novel is Cinder & Ella--you can read my review + recipe here. As part of the tour, I'm giving away an eCopy of Snow Whyte (available for US & INTL readers) and an autographed hardcover copy of Cinder & Ella (US only). To enter, fill in the Rafflecopter form below. Katiyana Whyte’s world is only as big as the apple orchard she was raised on. She can never leave the home where she grew up under the careful eye of her great uncle Barney. But when life at the orchard suddenly becomes dangerous and her childhood friend Jeremy begs her to flee, Kat finds refuge in the Fluttering Forest with seven dwarfs. 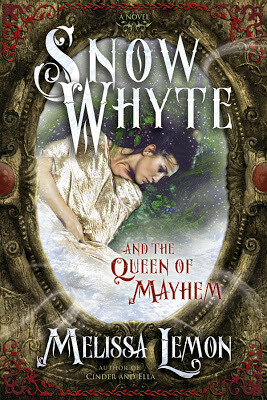 Click here to read a preview of Snow Whyte and the Queen of Mayhem! This twist on the well known tale of Snow White is very clever and the story moves along at a good pace with well written dialogue and engaging characters. As in Cinder & Ella the setting is medieval fantasy and there is an apple orchard, hence the recipe below. 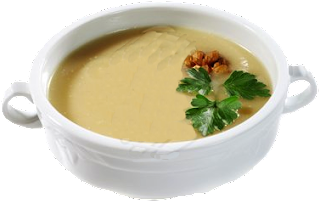 Horseradish & onion soup is mentioned but I thought, since it was eaten while living in the orchard, apples probably found their way into the soup too. Also, the soup was served with homemade bread--how yummy and cozy in this chilly weather! In a medium-sized, thick-bottomed soup pot, sweat the garlic and onions in the butter for a few minutes. Stir while bringing the mixture to a boil & then reduce the heat to a simmer. Simmer the soup until the apples are soft, about 20 min. Pour the the soup in a blender & puree until smooth. Strain it through a fine mesh sieve. Return the soup to the pot & reheat to serve. * If you want to add potato, toss in a handful of chunks at the same time you add the apples and wait 'til they are soft. * For garnish you can use crumbled bacon, sour cream, or saute onion slices & grated apple. 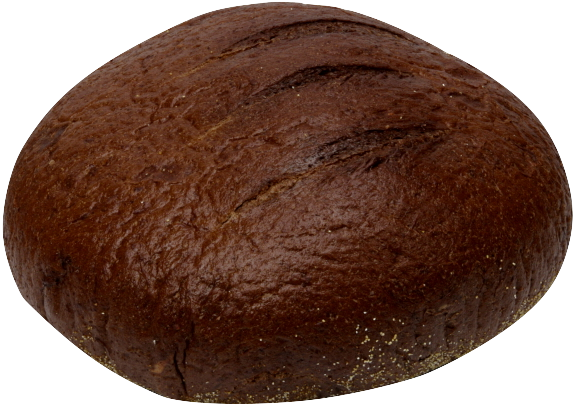 * For matching bread, try this yummy homemade Pumpernickel loaf! You can even cube some of it, lightly fry the cubes in butter and serve on top the soup! While I am more open-minded, I don't think my family will go for the soup ;), but Snow White and the Queen of Mayhem certainly looks like a tasty read. Thank you so much for sharing with us.